Why should I work with your agency? Aren’t they all the same? Every agency is different and your adoption plan is not a “one size fits all” proposition. We show up to work every day because of you. Birth parents are the reason we opened the agency. Although adoptive parents are wonderful, they don’t become our clients until you pick them. “But what does that mean?” It means we provide services that take care of you, ALL of you. You are not just making an adoption plan you have a lot of other things going on. Life happens! Sometimes you may find your self in situations where you need help. You may need an identification card or birth certificate, or to file your taxes, to get a job, to get a better job, to get your GED, to go to college, get married or divorced. What matters to you, matters to us. When you work with us, we do what we can to help you move your life forward. Another important reason to work with us is because we have the only active birth parent support group in the state of Florida, Placement from the Heart. This group is here for you as well during, and even more importantly, after your adoption plan. Each birth parent has their own advocate. Your Birth Parent Advocate will help you with adoption planning, selecting an adoptive family and will always answer your calls and texts. We meet with you in person. We do not just send you a bunch of confusing paperwork in the mail. We value your opinions, desires and needs. Our focus on you is what makes us different. You deserve to feel honored, supported and respected through the entire adoption process. Why should I work with a local agency? You may be considering out of town agencies, but the fact is, they are far away. Some of them even want you to relocate away from your home, family and friends in order to place your baby through them. We believe that the more support you can have during your adoption, including family and friends nearby, the better. We also provide personal service. You meet us, form a relationship with us and we hope, share our trust. We have found this process unfolds naturally as we get to know each other. It has been working this way for us for over 20 years and we have enjoyed each experience. But how do you make sure that you are really working with a local agency? Some agencies and attorneys use local area codes and part time office space that appear to be local. Just be careful….ask questions. What does “local” mean to us? It means that we have the opportunity to provide our services to you in person. Your Birth Parent Advocate is available to take you to the OBGYN, to get your Medicaid activated as well as your WIC services. Community resources are essential and we use our relationships to help you. I am pretty sure an adoption plan is right for me. What would happen next? Birth parents come to us at all stages of their plan. After your first call or text with Angela, an in person meeting is scheduled with our Birth Parent Advocate. You pick the location and are welcome to have your support system attend. This meeting is designed to move at your pace, answer all your questions and set your mind at ease. At its conclusion, you will have all the tools to make the decision that is right for you. Some birth parents decide to work with us immediately. Some families need more time to process this information. There is no right or wrong way to start an adoption. All we care about is you. 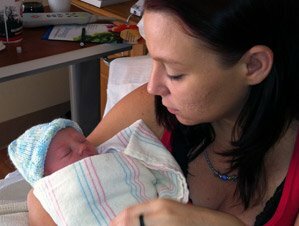 I want a caring family to adopt my baby, but where do I start? The first step can be the most difficult, but once you have called or sent Angela a text, you will immediately feel at ease. She will listen to you and answer your questions openly and honestly. You are in control and your communication with us is 100% confidential. Do I have to pay for your baby adoption services? Are you wondering “What will it cost me to find someone to adopt my baby?” The answer is “Nothing”. There are no costs to you. Our adoption services are free and confidential. Once I’ve decided to place my baby for adoption, do I get to pick my adoptive family? Yes. This is the most important decision for you and your family and it is 100% up to you. In an effort to help you select the adoptive parent that are right for you, your Birth Parent Advocate will provide all the information needed to make essential decisions. What is important to you? Make your list now. We will be ready to listen. Websites are a great place to start your search. What is most important is finding the right people to work with. You will feel so much better after that first call or text. Do I get to meet the family that will adopt my baby? Many birth and adoptive parents do wish to meet and find this a positive experience. Some, however, choose not to. Your adoption plan will help you decide what level of openness you are comfortable with and lead you toward selecting your perfect adoptive family or “match”. How do I know the family I pick will take good care of my child? This is one of the most commonly expressed concerns parents have. One of the best ways to make sure that your family is qualified to adopt your baby is to only consider families with legally prepared home studies. The Adoption & Family Support Center ensures that all of our adoptive families are home study ready and meet your other needs before you are matched. Do your adoption services include counseling if I need it? Absolutely! We believe that counseling is invaluable during this process. We may also provide you with community resources, support groups and other birth parents to talk to. 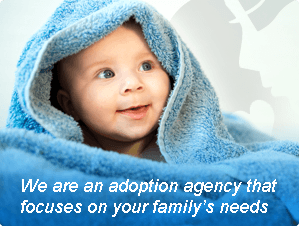 All the adoption help you need is available to you – you simply decide what services you would like take advantage of. What do our Birth Parents have to say about their adoption choice? Throughout the years, we have had the honor to be a part of many birth families and would like you to take a moment to read some of their stories. Can I get help with my bills? If you live in the state of Florida, your adoptive parents may pay, through their adoption entity, a licensed, child placing agency and attorney, certain living expenses. They can pay these bills through your pregnancy and up to six weeks after you deliver. If you live out of Florida, the rules may be different. Can I get help with my medical costs? If you have private insurance, the adoptive parents can assist you with YOUR deductibles and co-pays. If you do not have private insurance we will assist you in applying for Medicaid. If no coverage is available, the adoptive parents can assist with these expenses as well. Why should I work with an agency instead of just finding my own adoptive parents? This is such an important question! Agencies, and our agency in particular, provide services to you, the birth parent. While it may seem like putting your own “match” together provides you with a great deal of power and control, in the end there may not be anyone looking out for your needs. Going directly to an attorney with your “match”, means that the adoptive parents have representation; the attorney/intermediary can only represent them in the state of Florida. This means you may be left with no few or no social services. Ask questions and know your rights. Be sure to get all “agreements” in writing. Now that you have some idea of the adoption help available to you and your baby, why not give Angela a call right now?